I confess, I haven’t tried many Origins skincare products. Actually, the mask you see here is my first. 🙂 While on the hunt for a super-hydrating nighttime moisturizer for the Winter months, I couldn’t help but notice all the rave reviews on this Origins Drink Up Intensive Overnight Mask (it has a five-star rating on Sephora! ), and just had to try it out. And since you may also be on the lookout for a skin-quenching moisturizer for this time of the year, I thought I’d share my thoughts on this incredibly popular mask – starting with a little bit of background, followed by my full Origins ‘Drink Up Intensive’ Overnight Mask review! The Origins Drink Up Intensive Overnight Mask is a ultra-rich, hydrating nighttime mask that’s formulated with avocado and apricot kernel oil. According to Origin’s website, these ingredients help with moisture replacement by ‘deeply and instantly quenching compromised moisture reserves and building a reservoir for tomorrow’. The mask also contains Japanese seaweed, which is said to repair skin’s barrier to prevent future dehydration and signs of premature aging. The formula is paraben, sulfate, and phthalate-free. The Origins Drink Up Intensive Overnight Mask can also be used on dry patches all over the body, like your elbows and knees. Origins suggests using the Drink Up Intensive Overnight Mask twice a week, or use it as desired if you have drier skin. Since it is quite heavy, they recommend applying the mask before bed by gently massaging it into clean skin, and then tissuing off the excess. To start off, the mask’s formula is incredibly creamy and rich. It has a light scent of citrus-y scent that I personally find very refreshing, and not too overpowering. It doesn’t take much product to cover your face – a quarter size amount of the Origins Drink Up Intensive Overnight Mask is really all you need, and even that should be enough to cover your neck as well. Honestly, I’ve used this mask about 10 times and it doesn’t seem like I’ve put a dent in it! 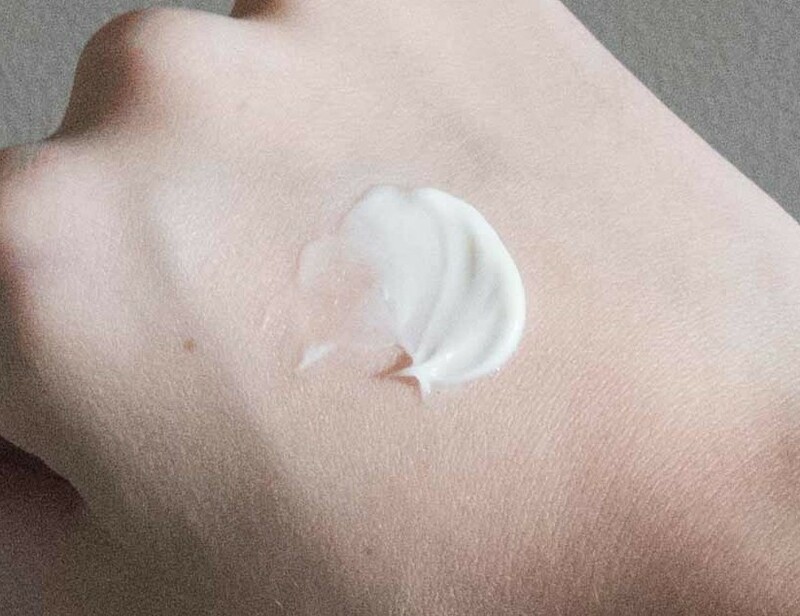 Though the moisturizer mask is super rich and slightly heavy feeling, it spreads quickly and evenly over the skin. 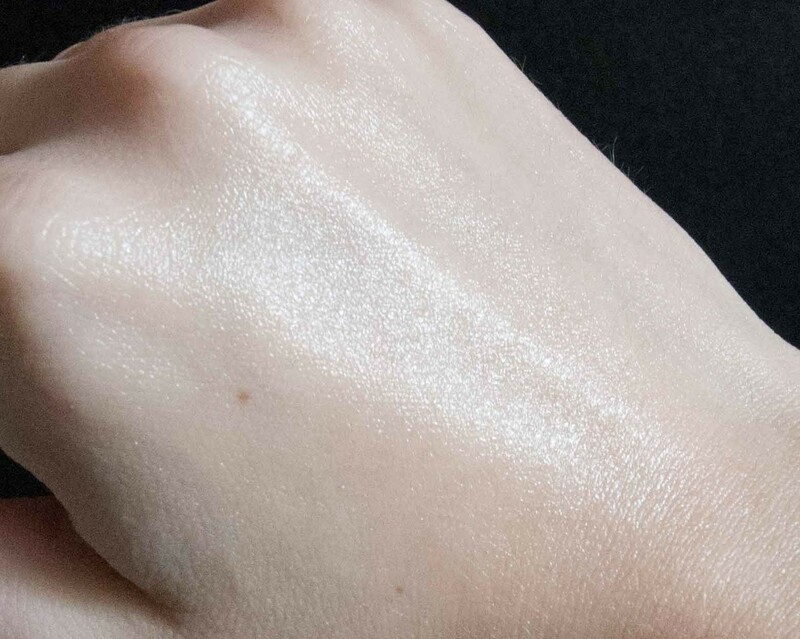 It leaves a light-to-medium layer of coverage that gives the skin a slightly shiny/glowy look, as you can see below. Although I’ve heard some people wear the Origins Drink Up Intensive Overnight Mask as a daily moisturizer, I find it a bit to heavy and too shiny to wear under makeup. If you’re looking for a super glowy effect though, this could work, but I’d suggest sticking with liquids and creams over top (liquid foundation, cream blush, etc). Powders will stick and clump to this if you use it as a base. 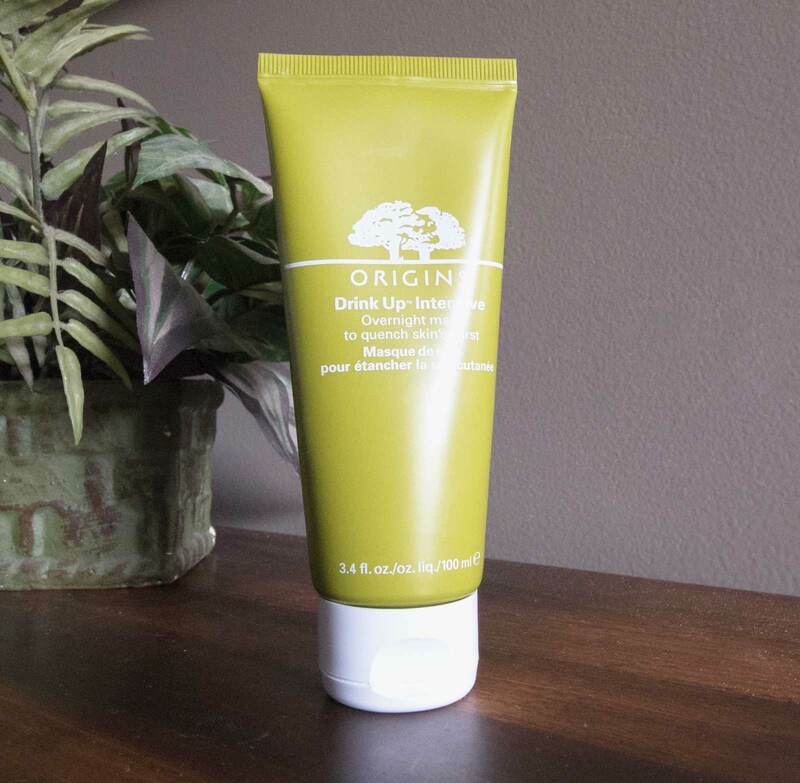 Within a few seconds after applying the Origins Drink Up Intensive Overnight Mask, my skin felt smoother and softer. Between the scent and the formula, it felt very refreshing on the skin. By the next morning, my skin felt hydrated and plumper. One thing I’m not to crazy about is the mask’s formula. It can feel heavy and a bit greasy, and tends to sit on my skin rather than sink in. I suspect that it may even be clogging my pores, as I’ll often see a pimple or two to appear the next day. To try and prevent this, I now make sure to use the smallest amount of product to create a nice thin layer. I also always rinse off the mask the following morning so it doesn’t clog my pores throughout the day. Overall, the Origins Drink Up Intensive Overnight Mask is a very hydrating mask that I imagine will benefit dry and normal skin types the most. The price point is also a plus, considering the full size (3.4 fl. oz.) version, retailing at $25.00, should get you through more than one winter! For combination/oily skin however, I’d recommend the The Body Shop Oils of Life Sleeping Cream. It’s a lightweight, fast absorbing, and balancing mask that doesn’t clog pores. The Origins Drink Up Intensive Overnight Mask is available on Origin’s website, Amazon, and Sephora. Have you tried Origin’s skincare line? What are your favorite Wintertime skincare products?